Leeds United have entered a partnership with 49ers Enterprises, the investment entity behind American football giants San Francisco 49ers. United chairman Andrea Radrizzani said funds invested in the collaboration will be used to "improve results on the pitch" at the Championship club. The link-up could also see Leeds play games at the 49ers' Levi's Stadium. In addition, 49ers Enterprises president Paraag Marathe has joined Leeds' board of directors. 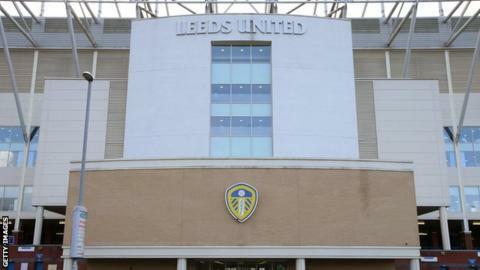 Radrizzani is believed to have sold 10% of the shareholding in Leeds to the entity, which it is hoped will see shared business practice between the two clubs. "This strategic partnership enables Leeds United to align with and gain invaluable expertise from the owners of one of the biggest global sports entities," said Radrizzani. "The 49ers are an innovative, successful organisation and we are delighted to have access to such a rich source of business and sporting expertise. "This exciting partnership builds on the foundations we have laid down at the club in the last 12 months and we can assure supporters that the funds invested will go towards improving results on the pitch." Marathe is involved with the 49ers Enterprises business as president but is also executive vice-president of football operations with the Forty Niners Football Company LLC. His role with the football side of the business relates to recruitment and retention of players, around contract negotiations and ensuring the club meets NFL salary cap regulations and adheres to the league's collective bargaining agreement. Away from the sporting side, Marathe oversaw the move from their old Candlestick Park venue to the current stadium and has been involved in staging non-American football events there, such as WWE wrestling and international football.